We asked on our Facebook page if students would write to us with their favourite piece created while working on their course to date. 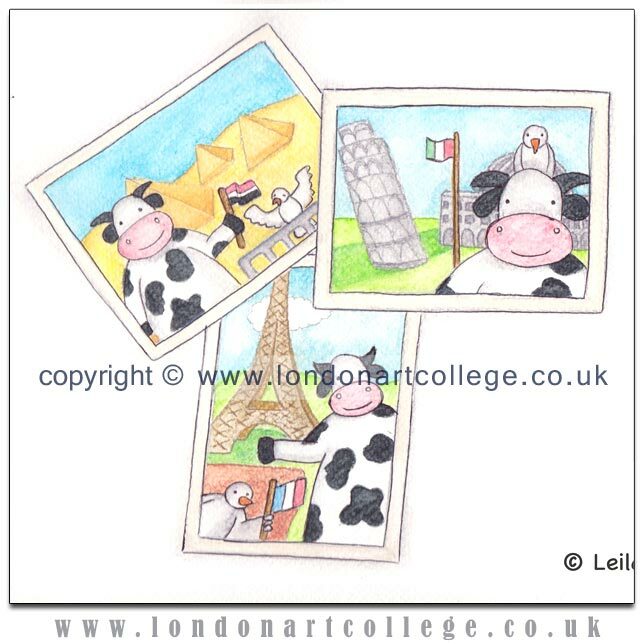 Leila has emailed us her story along with one of her fabulous illustrations of two friends travelling together 🙂 I hope it inspires all of our readers! I have always wanted to, for as long as I can remember, to be a children’s books author and illustrator. I loved to draw when I was at school and my art teacher encouraged me to follow this direction. I, however, also wanted to win the Nobel Prize in Chemistry, so I pursued a career in the latter than the first ( I didn’t win the Nobel Prize though). During the summer of 2013 however, I decided that it was time for me to look into a career change, and I chose to focus on my Illustration skills. I enrolled at London Art College in October 2013 and finished my course in January 2014. My favourite illustration from the course was the one about the two friends travelling the world together. Its also available on my Facebook page. I used watercolour pencils and ink for this one. Since graduation, I have developed my skills and I believe I have found my style. I have experimented with a lot of different styles and medium, until I found one that I am comfortable with. We recently promoted #feelingnuts by Check One Two and one of our cartooning students, Jenny Drew, has had some of her cartoons published on their website. Visit the website Check One Two to see more and learn about how you can become involved in their campaign. We have received an email from Griffin Art Prize. If any of our students enter, please do let us know! As always the London Art College is not affiliated with this offer and students offer their services at their own risk. The Griffin Art Prize 2014 UK is now open for entry to all UK based artists graduated since 2009, and whose primary medium is painting or drawing. The deadline for submissions is 1 August. The winning artist will be awarded the one-off opportunity to take up a six-month residency in a large well-lit studio above the gallery. They will also have access to the Innovation & Development laboratory of leading global art brands Winsor & Newton, Liquitex and Conté à Paris where the latest art products are developed, a truly unique offering. The winner of the prize will also be given the opportunity to exhibit new work in a solo show in September 2015 which is accompanied by a catalogue. The prize will be judged by Alastair Smart, Arts Editor and Chief Art Critic at Sunday Telegraph, Jenny Lindén, owner and Chairman of Lindéngruppen, Jenni Lomax OBE, Director of Camden Arts Centre, and international artists Gordon Cheung and Anj Smith. The judges will be looking for innovation in painting and drawing and for the applicants’ potential to benefit from the residency. Our summer sale ends 17th of July…order your course before its too late! 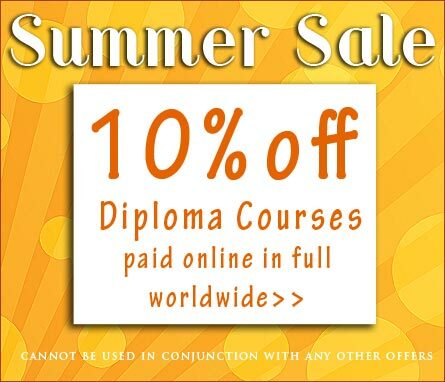 Summer Sale 10% off all Diploma Courses! Have fun this summer while learning a new skill! Treat yourself to an art course that you can do while leisurely sitting in the sunshine this summer. What could be better! 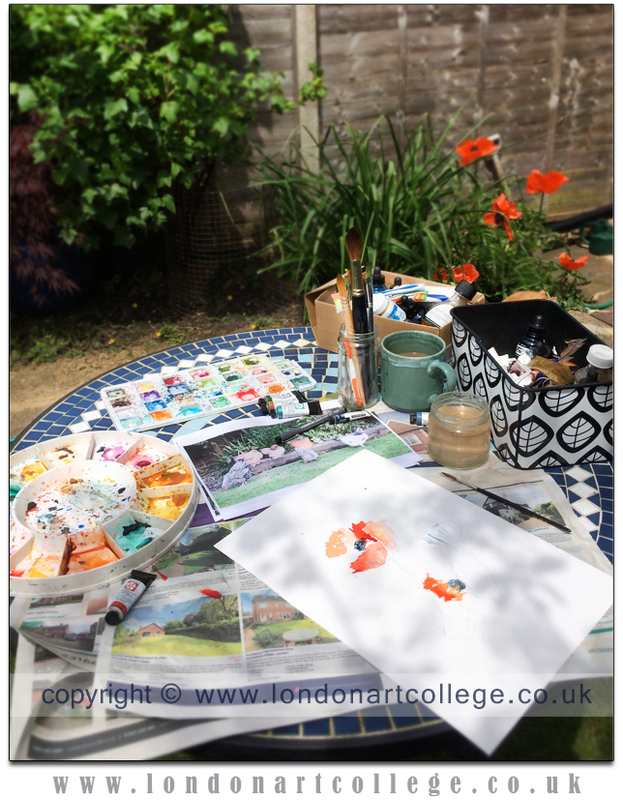 The photo below was taken by one of our current students, Dana Mallon who was having fun leisurely painting in her garden! Dana is currently studying on the Pet Portrait Diploma course and is also working on lots of exciting projects plus experimenting very successfully with watercolours. Come and join us today..visit our website for more details on all the courses we run. We have received a lovely email from Heather Urquhart, a student who is currently studying on our Pet Portraits Diploma course. Heather has emailed us a wonderful portrait she has just created in Pastels and you can read all about it below. Don’t forget to visit heathers Facebook page too! If you have a story and would like it posted on our college news, drop us a line at any time! 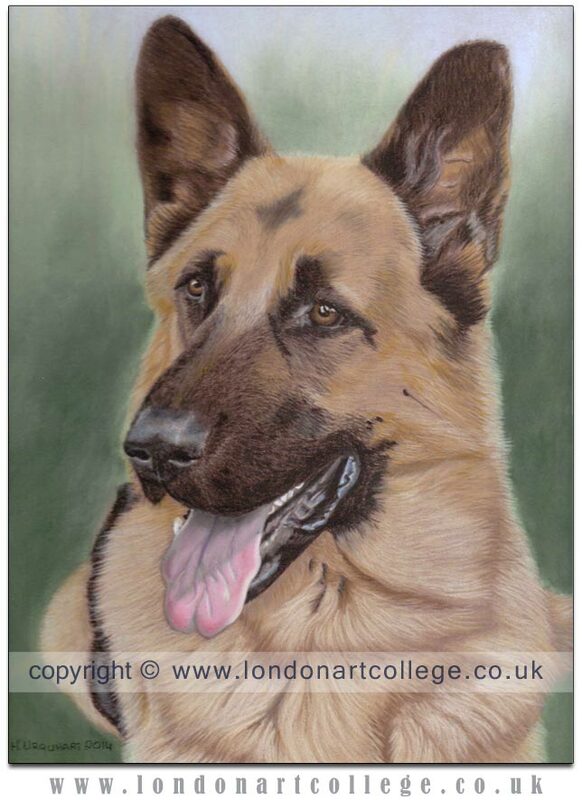 I have always enjoyed art as a hobby and was delighted when I came across the pet portrait course with London Art College, a combination of my favourite hobby and my favourite subject!! I was delighted last year when I was approached by the ‘German Shepherd Rescue Elite’ group, who rescue and rehome German Shepherd dogs, to see if I could donate a prize to help raise funds for their first annual raffle. I donated a pastel portrait, which was won by Mylo’s owner, this is his portrait! We have a request from Kerry Gate who is looking for a student to help to illustrate a short poem / book for raising money for Cancer Awareness. If any of our students help out, please do let us know! As always the London Art College is not affiliated with this offer and students offer their services at their own risk. I am looking for someone to illustrate a short children’s story. My dad wrote a Christmas story years ago when my sister and I were young. He recently passed away from lung cancer and I want to publish the story to raise funds for Cancer Research. The story is about two children who Rudolph visits at Christmas and takes to see children less fortunate than themselves. It would be about 15-20 pages long. I hope this would benefit someone looking to work on their portfolio as well as helping a charitable cause that is very close to my heart. If you are interested please email me at any time on krgate@gmail.com and I look forward to working with you soon. 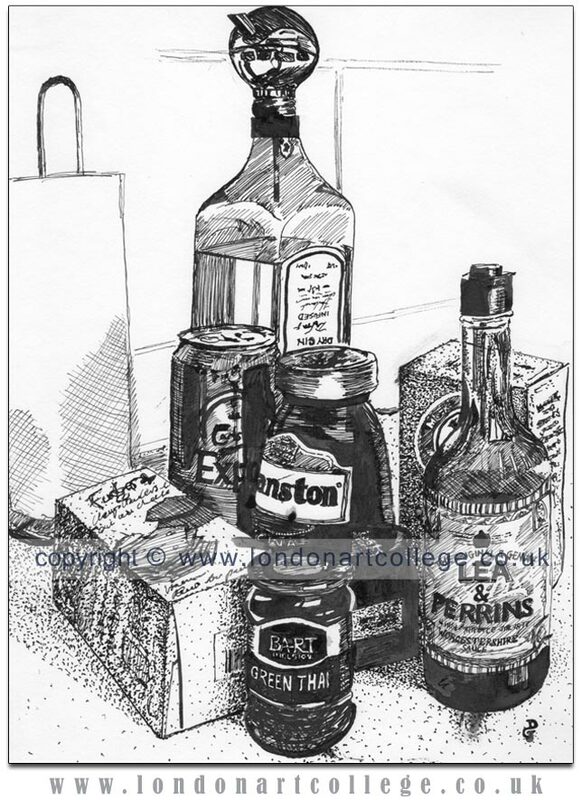 Vanessa Weaver, the tutor for the Graphic Design in Art diploma has email a wonderful piece of pen and ink artwork for the blog and student gallery. Congratulations to D.J Gent for a superb piece of artwork.